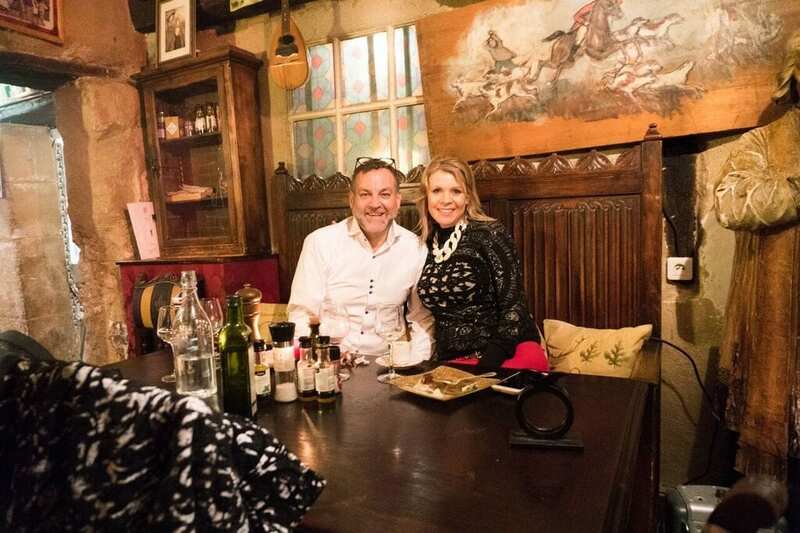 Posh Paris Restaurant, Great Experience, Won’t Break The Bank! Last year, my lovely wife and I were fortunate to spend the most wonderful Christmas Day dinner with our most amazing friends at Au Vieux. An amazing restaurant that we happened upon in our 2-hour tour in the motor icon of France, a Citroën 2CV. I asked the driver not to take the “usual tourist route” and that I wanted his recommendations as a foreign locale. He took us behind Notre Dame to a popular place where locals hang out. And after passing that place, the Bell Captain from the Grand Budapest stepped out into the one-way street to invite us in for dinner. This is how close were to the restaurant in our Citroën 2CV. The decor screamed Polar Express so I asked the Buda Captain if he was serving dinner on Christmas. To our surprise, he said, “Yaaaahhhsss!” in a thick French accent. And I made reservations right there in the middle of the street…in a blue and yellow Citroën 2CV. We were greeted by the host, and Captain that jumped before us in the street the night before. 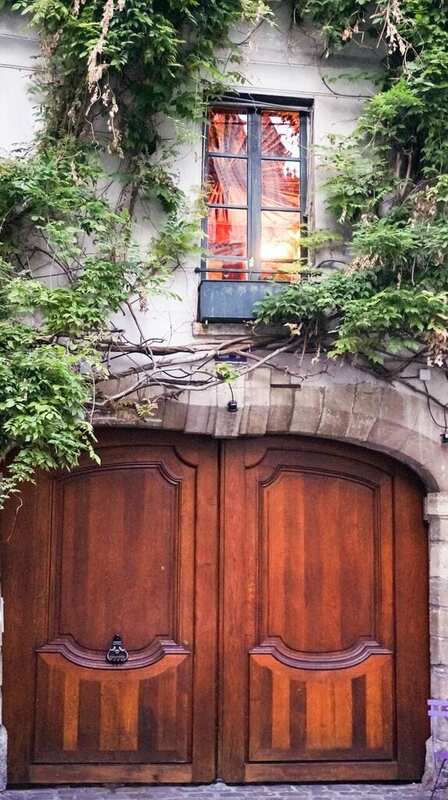 Little did we know, that we were not only entering the parsonage aka the Maison du Vieux Paris which is located in the heart of the marsh, on the Ile de la Cité, directly behind Notre Dame in Paris. The home was built in 1512 during the completion of the Cathedral. 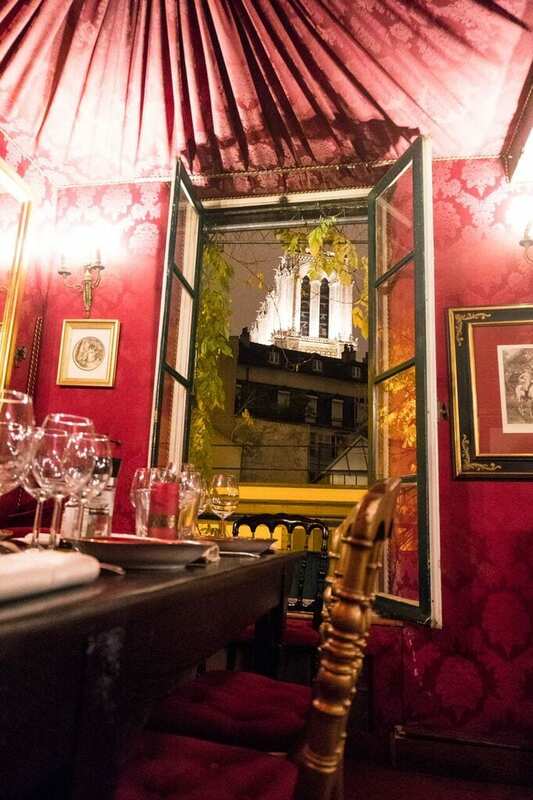 At the time, the now restaurant sheltered the Canon of Notre Dame de Paris. 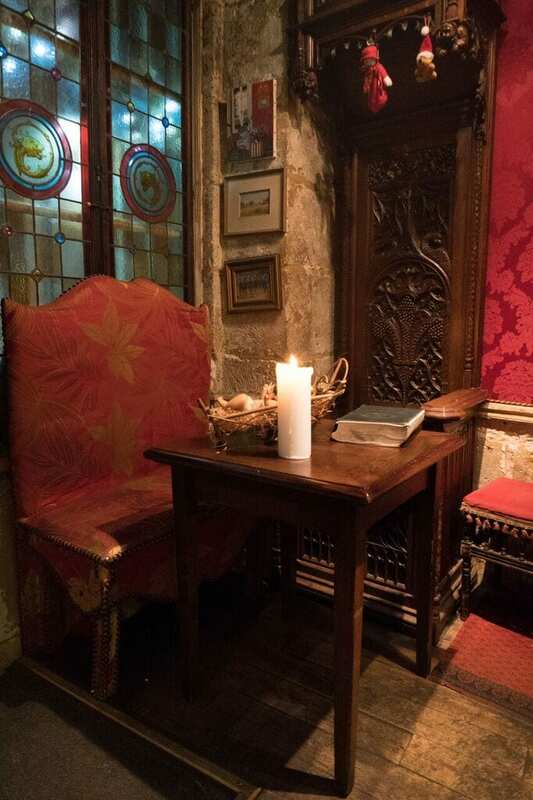 After being the residence of a Canon who was one of the Popes of Avignon (Clement VIII) among other Popes, it was sold by the bishopric in 1723 to become a wine bar. 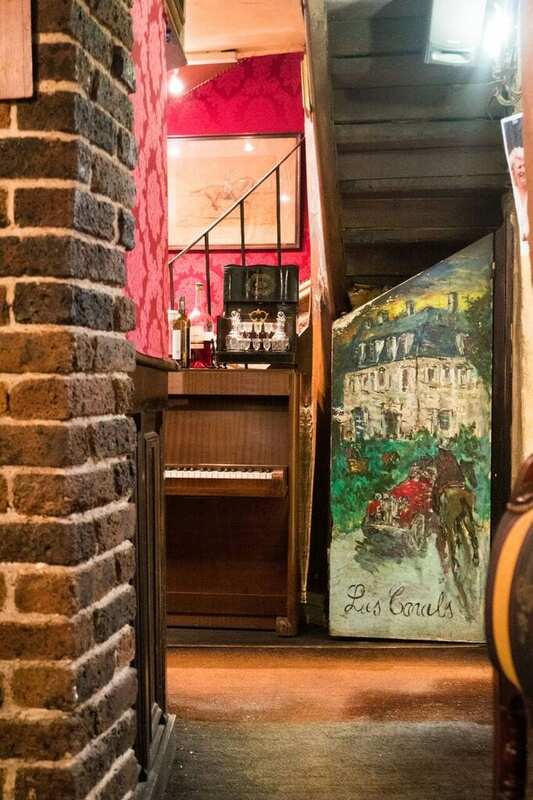 The restaurant is listed in the inventory of Historic Monuments. 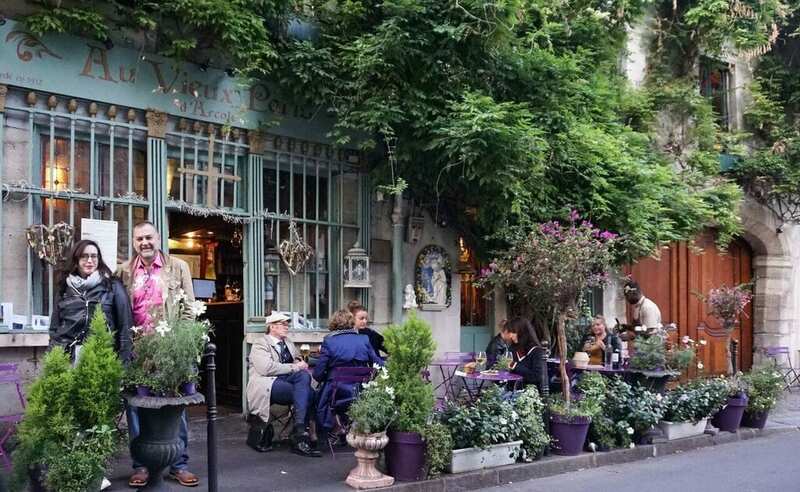 It is, therefore, one of the oldest restaurants in Paris and it has not changed since then. Only the people and entertainment of THE Captain. Watch this video of one of the best Christmas experiences that I have ever had in my life. For some reason, when we were back in Paris for Maison et Objét, and even before my trip to the emergency room in Paris, I had not written a review and had to pop on Yelp to find the precise spelling of the place so I could book dinner again. To say I was shocked would be to put it mildly. Some people’s rights to review amazing experiences should be revoked! Especially when they were also reviewing Nachos and Coca-Cola, Taco Bell and Waffle House. Please just go away, you do not belong in Paris or anywhere outside of the “good ole US of A baby!” First of all, you are not “at home”, this is not America, a Waffle House or a Burger joint because it seems that is where those that have left low ratings must eat. 5 stars for a Taco Bell!!!! How does that happen? 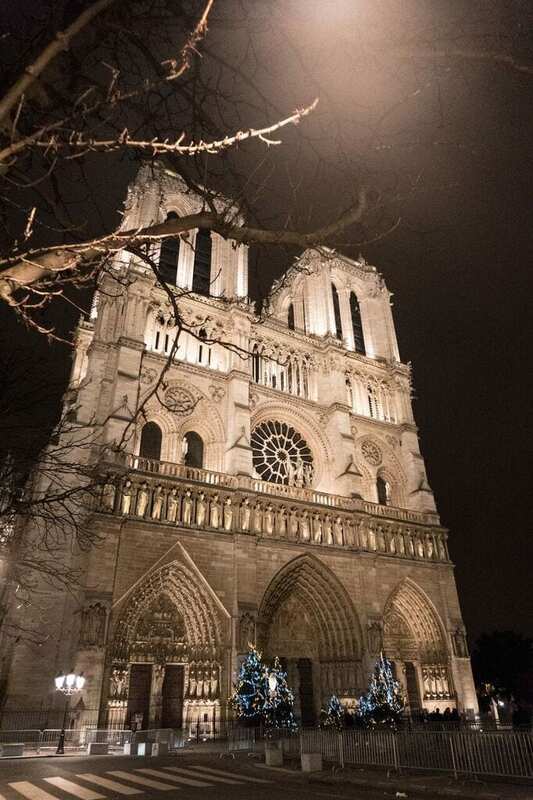 Did anyone bother to list that is one of the oldest remaining buildings in Paris, built in 1512 and home to the Bishop’s of Notre Dame until the Church sold in the early 1700’s? Did you even take the time to speak to the Waiter or just make assumptions. Did you know he speaks 7 languages and has managed and lived in the building for over 20 years? Did you know the owners live on the 5th floor and that he lives on the 4th and that you can rent the 3rd floor? Enough already as I am just quietly disappointed in those ineloquent reviewers that have little or no regard for class, great food and a little fun away from home. Have the tasting menu, 4 courses for less than $50, foie gras, salad, duck/steak plus dessert add an extra $20 and they pair your wines. 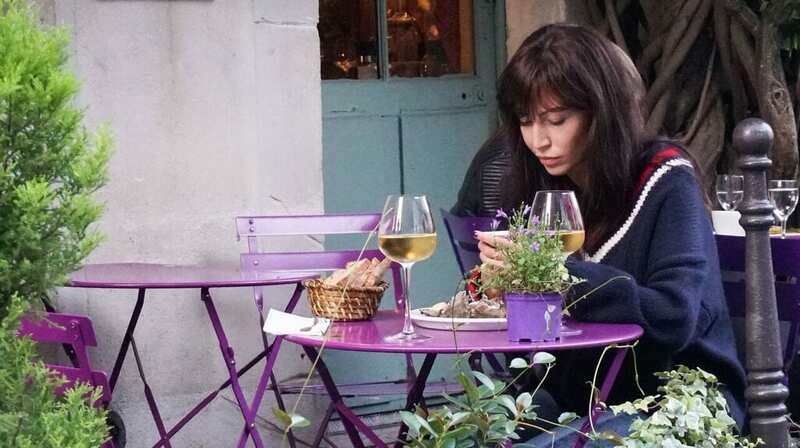 But do not go for the wines, even they don’t recommend it unless you’re not familiar with wines. 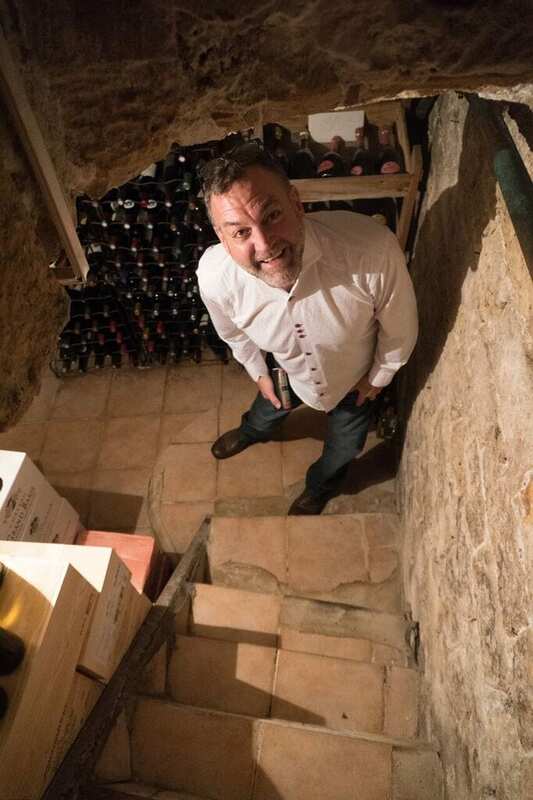 They have a wine cellar, the smallest ever, and but although the selection is not massive it’s affordable and each little space houses incredible wines from e25 to e95. We chose an e50 bottle and were ecstatic. Each table is literally in your space (meaning tight) and by the end of the evening we were all friends and sharing stories from around the world, all on Christmas Day. We are still friends with many of them and stay in touch, such an incredible place to be and a perfect end to a beautiful trip. Our amazing host sang to us and gave us a private tour, each window of the building has a view of Notre Dame, even the ground floor. A message from my wife: The walls and ceiling is decked out in crimson velvets, damasks, and trims on the walls, ceilings, and furnishings. After dinner, we were invited to the upstairs dining room for a photo opp and inside the living quarters. Yes, that is the top of Notre Dame Cathedral. The furnishings are all eclectic antiques which my wife is a maximalist connoisseur of according to my work daughter (aka. Jaye Anna Mize). 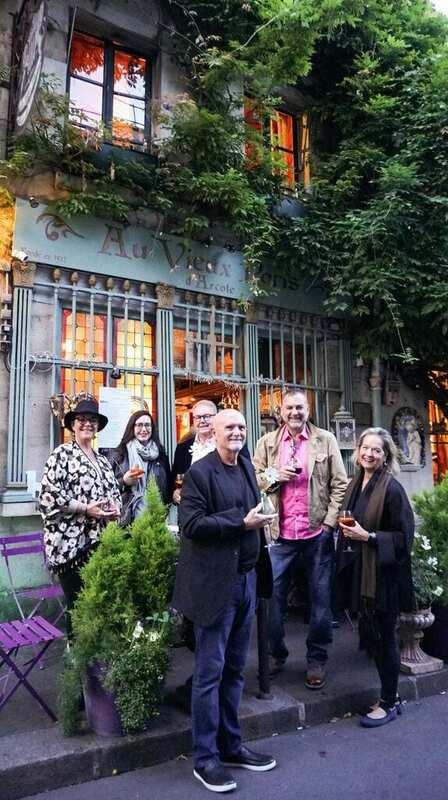 We love Au Vieux experience so much that we took clients and friends back during Maison et Objet….after my Tour de Museum de Hospitals Paris visit. Thanks to my wife for saving my life and reminding me of it every day. 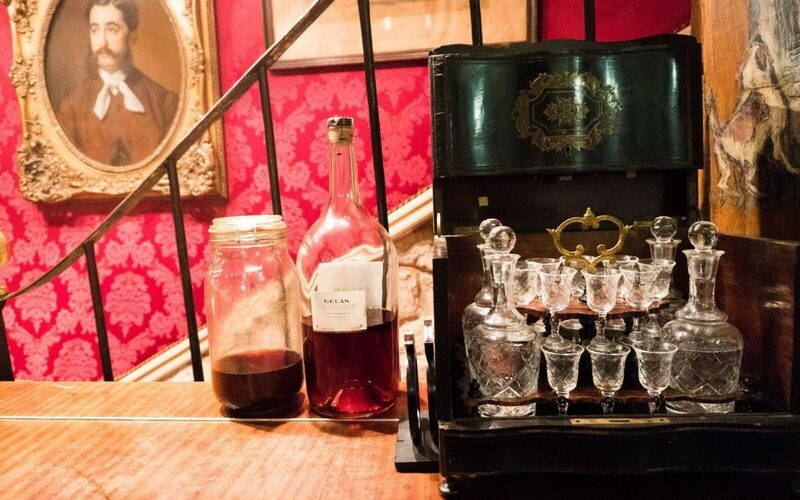 Any time you enter an establishment where you host is already enjoying a glass of wine, it’s time to check out of your regular self and just jump in with both feet. You may just have fun, pee in the smallest toilet ever, meet the chefs, have a song sung to you and leave with a smile that nobody will ever wipe off your face and to all those that gave poor ratings, stay off Yelp or Trip Advisor, get to your Waffle House, Taco Bells and Vegetarian spots! This is PARIS! And you obviously do not belong. 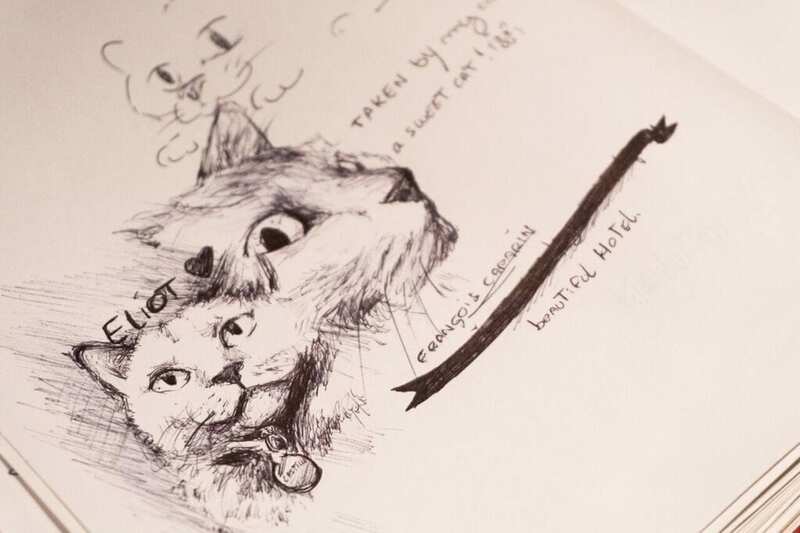 But as always, that is just my opinion and be sure to leave your mark behind in the guest book at Aux Vieux Paris until next time. P.S. 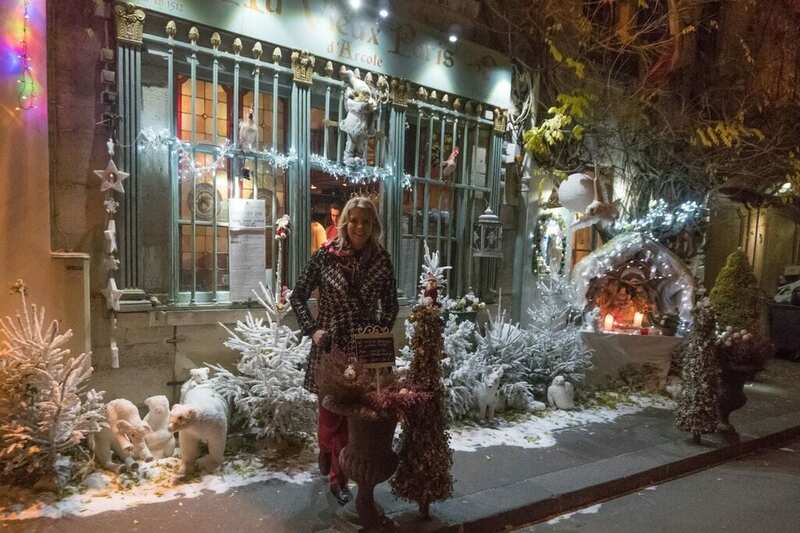 Check out the videos of the amazing Christmas Window Displays of Paris. Boyd Tasker British born 🇬🇧 wishful chef. Husband. Food Critic. Almost Miami + Las Vegas native 🌄 and citizen of the world who has lived in London, LA, New York, Chicago, Dallas, Las Vegas, Miami + more. Dad of @TravelingPoodle + 5 daughters. Business consultant and advisor to notable brands in fashion, home decor, trade shows, restaurants, and retail stores.